The Diocese of Saint Denis which is entirely Western Rite – and always has been – was set up originally by the Patriarchate of Moscow, in 1936, it is able to elect its own Bishops and its Holy Synod can conduct its own affairs as can any other national Church. Saint John of Shanghai, when he was the Archbishop in Paris took responsibility for Orthodox Western Rite in France. He celebrated the Western Rite himself, he Ordained Western Rite clergy and finally consecrated Fr Evgraph Kovalevsky as Bishop Jean-Nectaire – the first Western Rite Bishop of France. 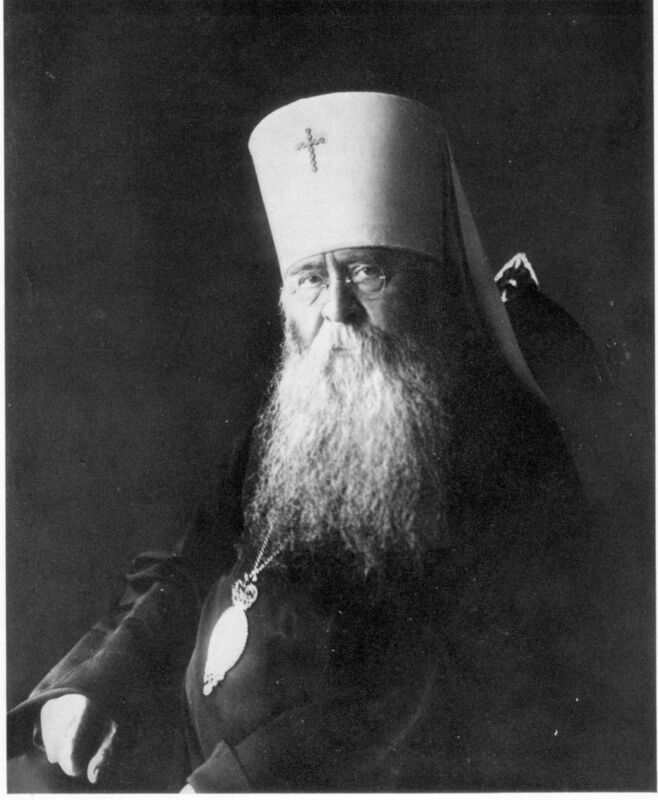 After the issuance of the famous Ukase of 1936 by the Patriarch of Moscow authorising the erection of an Orthodox Church of the West in France, in 1937, the the Orthodox Church received a small group under the former Liberal Catholic bishop, Louis-Charles (Irénée) Winnaert (1880-1937), dubbing them l’Eglise Orthodoxe Occidentale (“Western Orthodox Church”). Upon his repose, the leadership of the Church was turned over to Fr. Evgraph Kovalevsky (1905-1970). Also in the French Church were Fr. Lucien Chambault, who oversaw a small Orthodox Benedictine community in the rue d’Alleray in Paris (as Pére Denis), and the former Benedictine monk, Archimandrite Alexis van der Mensbrugghe (1899-1980), who favourably viewed the restoration of the ancient Roman rite cleansed of medieval accretions and supplemented by Gallican and Byzantine interpolations. In 1948, he published his Liturgie Orthodoxe de Rite Occidental and in 1962 the Missel Orthodoxe Rite Occidental. Fr. Evgraph worked for several years on restoring the ancient rite of the Gauls, which came to be known as the Divine Liturgy according to St Germanus of Paris. After the French church broke with Moscow to preserve the Western character of its liturgy, Archimandrite Alexis remained with the Church of Russia and was consecrated to the episcopacy in 1960, continuing his Western Rite work under the auspices of the Moscow Patriarchate. After some years of isolation, Fr. Evgraph Kovalevsky’s group came under the Russian Orthodox Church Outside Russia between 1959 and 1966, and Fr. Evgraph himself was consecrated with the title of Bishop Jean-Nectaire de Saint-Denis in 1964. 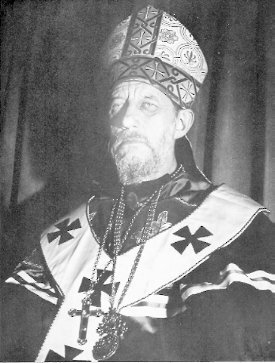 During this time, the Eglise Orthodoxe de France received considerable encouragement from Archbishop (Saint) John Maximovitch (who was ROCOR’s representative in Western Europe at the time), and his death in 1966 was a serious blow to these French Orthodox Christians, who had enjoyed an influential and holy advocate in Archbishop (Saint) John. 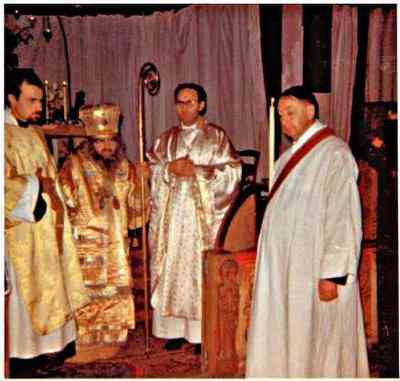 Meanwhile, the Moscow Patriarchate’s Western rite withered and came to an end, but Bishop Jean’s Church continued to thrive, though after St. John’s death in 1966, they were again isolated from the other Churches. 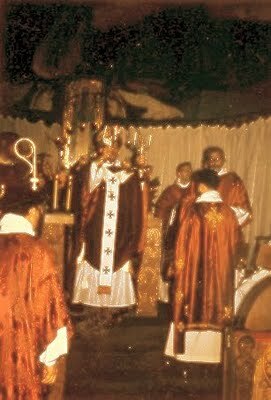 Bishop Jean died in 1970, and then in 1972 the Church of Romania took the Eglise Orthodoxe de France under its guidance. Archpriest Gilles Bertrand-Hardy was tonsured as a monk and consecrated as Bishop Germain de Saint-Denis, and the restored Gallican rite became the regular liturgy used in the many small French Orthodox parishes established throughout France. 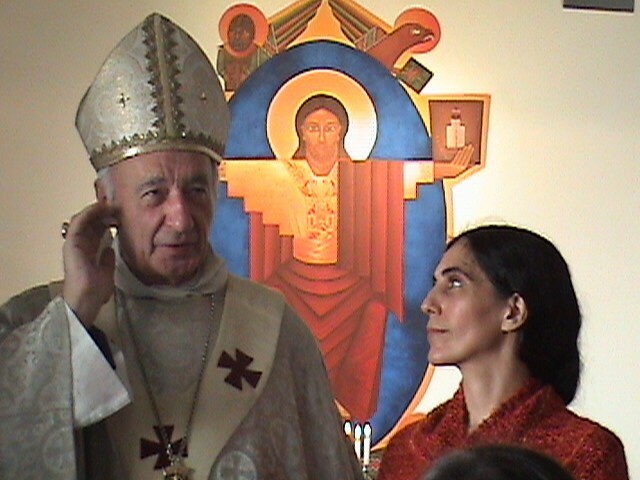 In 1993, after a long discussion with the Romanian holy synod the autocephalous Church of France continued on its own. Most canonical Orthodox bishops today do not recognise the canonicity of the Orthodox Church of France. Newly consecrated Bishop Benedict, consecrated by Bishop Germain and Bishop Cassian January 2016 in Paris.